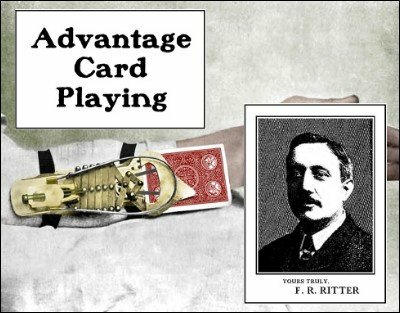 This was the advertisement booklet for Ritter's book Advantage Card Playing and Draw Poker . It describes the motivation of the book and shows some excerpts including four illustrations. 1st edition 1905, 9 pages; digital edition colorized.